What would you do if your son was kidnapped? And the kidnapper wasn't human? "Gabriel Burns offers up an imaginative mashup of serial killer crime procedural and paranormal noir with an unnerving villain, non-stop action, and a plucky kid you’ll root for until the very end." Ninety-nine bodies have been found dead worldwide with “God is Blind” burned into their torsos. 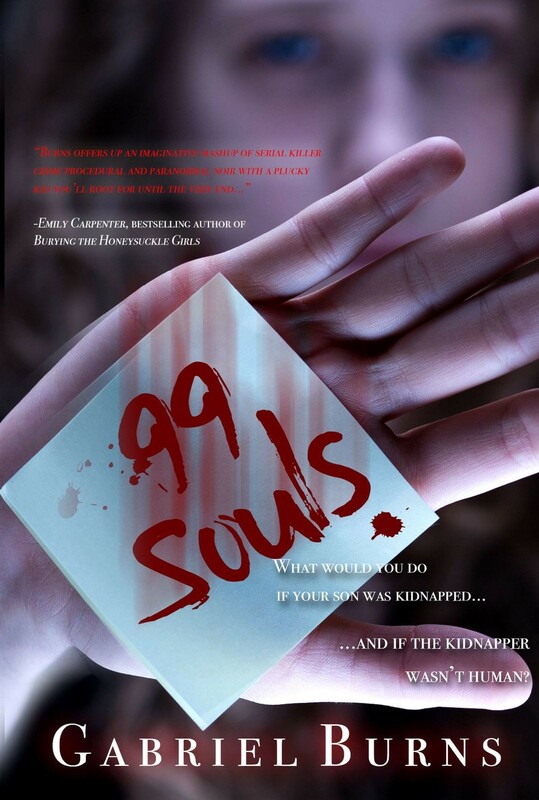 And when Sarah Winslow’s eight-year-old son, Brandon, is abducted by a man who bursts through her door in an explosion of light, she is terrified that her son’s kidnapping will bring the total to one hundred. Reflecting on the man who took him, she realizes she’s up against something more terrifying than a serial killer; she’s up against something supernatural. Making matters worse, the police begin to suspect she may have killed her son and be using the abduction story to cover it up. So when they try to arrest her, she takes off on her own, desperate to find Brandon before it’s too late. But if Brandon was taken by something supernatural, then why? What does it want? And how is his abduction connected to the “God is Blind” murders? Those are just some of the answers Sarah will seek in her quest to find her son.